The holidays are merry, bright, and messy. It’s during these months of the year that we’re often reminded of just how much stuff we all have. It’s not only the gifts, but the decorations and all that entails. It can become overwhelming and cause our homes to become cluttered. 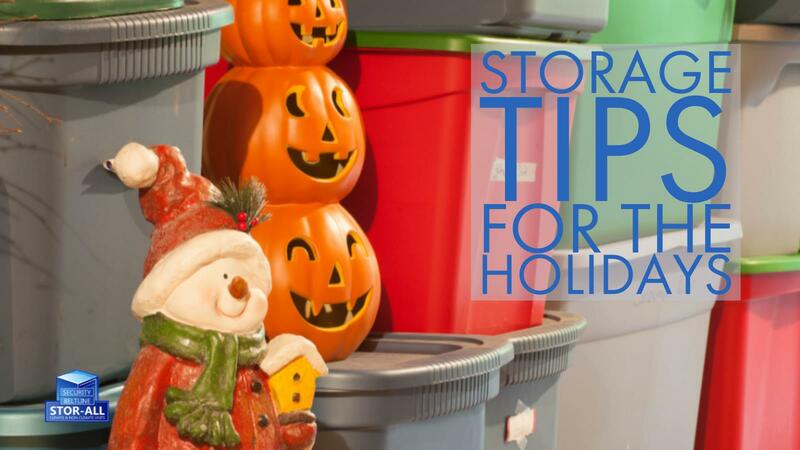 Keep your days stress and clutter free with these storage tips for the holidays from Beltline and Security Stor-All. Don’t just throw those Christmas ornaments into any box or bag. This is a good way to break them and it makes storage that much more difficult. Instead, store things in such a way that they can be stacked and orderly. There are plenty of storage options that are made specifically for decorations like ornaments, stockings, lights and more. Once a box has been used for a specific item, let that become its purpose. This will keep you from changing your storage spaces and arrangements each year, causing headaches every time you try to pack up from the holidays. Whether it’s a corner of the attic, a closet under the stairs or a separate unit, have assigned storage spaces. This keeps things from overflowing into the rest of your home while also guaranteeing nothing else takes over that designated area. A place for everything and everything in its place. Keep things streamlined. If you have space and the monetary ability to do so, invest in an entire storage and closet. Put in the shelves that can hold boxes, the racks for wrapping paper and ribbon, the spools for lights, etc. Now when you walk into your storage area, the feeling will be one of organized content and not overwhelming anxiety. Sometimes that Christmas tree or large yard inflatable just won’t feasibly fit anywhere in our home. For those moments and more, invest in a holiday specific storage unit. These units cannot only keep larger pieces out of sight and out of mind, but they can also be used to store any furniture that might need to be removed from the home during the holidays. As an added use, let the unit become your North Pole and store gifts until Santa can pick them up for delivery. The holidays are the most wonderful time of the year. Don’t let the moments become secondary to the items. With just a bit of organization, the transition to and from the festivities can be seamless. 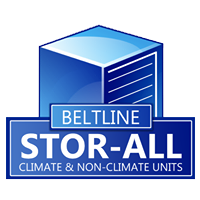 Use these storage tips for the holidays from Beltline and Security Stor-All to help.